As life slows down for the holidays, it's an ideal time to visit one, or a few, of the region's many art museums. “Magritte & Dali” pairs works by Spanish Surrealist Salvador Dali and Belgian Surrealist René Magritte. For the show, St. Pete's Dalí Museum collaborated with Belgium's Royal Museums of Fine Arts, home to a major collection of René Magritte, who along with Dali, helped shape one of the most influential art movements of the 20th century. Though he began this work in Brussels, Magritte moved to Paris in 1927 so he could integrate himself into Surrealist circles which included Salvador Dalí, Andre Breton and Joan Miró. As a child, Yayoi Kusama began seeing hallucinations which often involved color and fields of dots. There's still time to see the brightly colored mirrored installation of celebrated Japanese artist Yayoi Kusama at the Tampa Museum of Art. 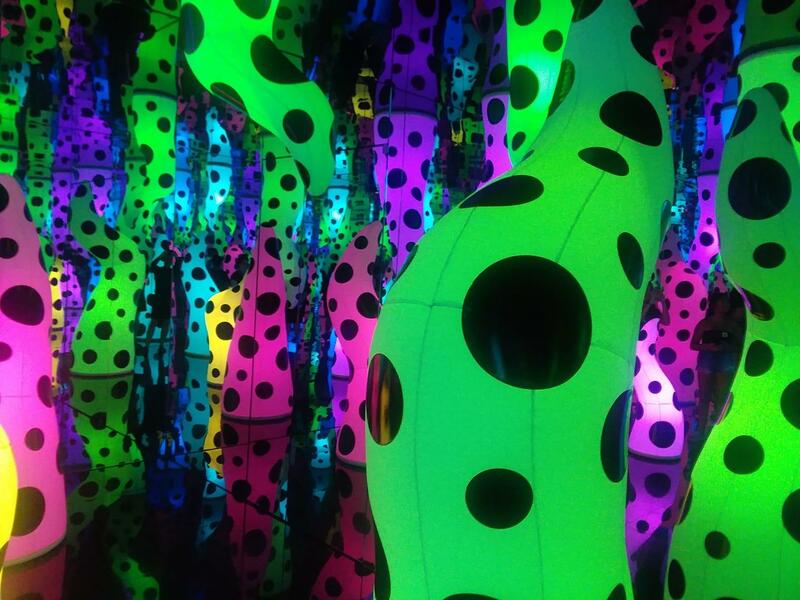 The artist’s “Infinity Room” comprises a room covered with mirrors and colorful soft sculptures coated in polka dots. Each glows with changing colors from neon pinks to vibrant yellows. The installation is part of an exhibit called "Season of Love" which also features Robert Indiana, a leading figure of the American Pop Art movement. You may not recognize the name, but chances are good you have seen an image of one of his iconic sculptures of the word, LOVE. And the Polk Museum of Art in Lakeland recently opened its newest show. "Edgar Degas the Private Impressionist," features works on paper by the artist and his circle. Degas, a French Impressionist, is best known for a number of recurring themes in his work, foremost among them the subject of dance and ballet. The show in Lakeland features Degas along with artist friends from Mary Cassatt to Henri de Toulouse-Lautrec. Many of the pieces in the exhibition are from a private collection and have rarely, if ever, been shown in public. The Dalí Museum in St. Petersburg on Saturday opened a new exhibit showcasing two of the twentieth century’s most influential artists. A retrospective exhibit featuring one of the world's most instagrammed artists is currently breaking attendance records at museums across the country. And now, one of her iconic works is on view at the Tampa Museum of Art. Salvador Dali's surrealist, often bizarre, painted landscapes were not a product of his imagination - but based on the beaches, rock formations and dream-like skies of the Catalonian coast in Spain.